This year was insane. 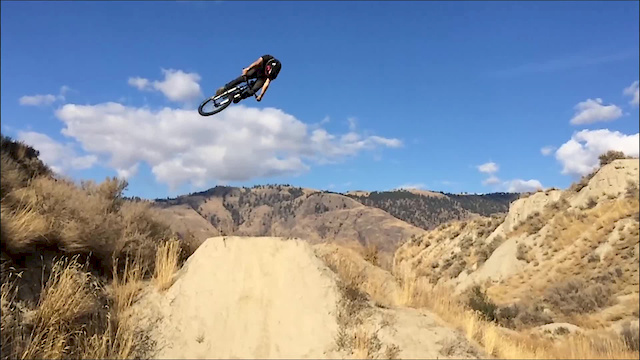 I moved from home in Slovenia to Kamloops, Canada in pursuit of some epic riding and good times. It was one of those childhood dreams coming true and a big step up for me both riding riding wise and on a personal level as well. Could't be more toked to show you what I managed to do in 2017. Hope you like the video! Dude rad edit it was cool meeting you last April hope to shred there again this spring!!!! Sick!......and some Greenleaf thrown in, epic! That was Rad! The Loops so good! That was rad! Has me stoked for spring/summer! Killed it man. Awesome, lots of fun times were had i see! Thats a real mtb edit. Sick riding dude.